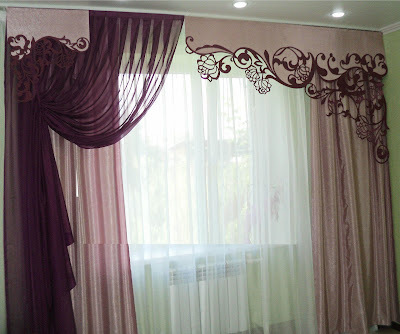 Every time when it comes to repairs, everyone wants to create the coziest and beautiful environment in the house. The finishing touch of the design of any living room interior is living room curtains designs. 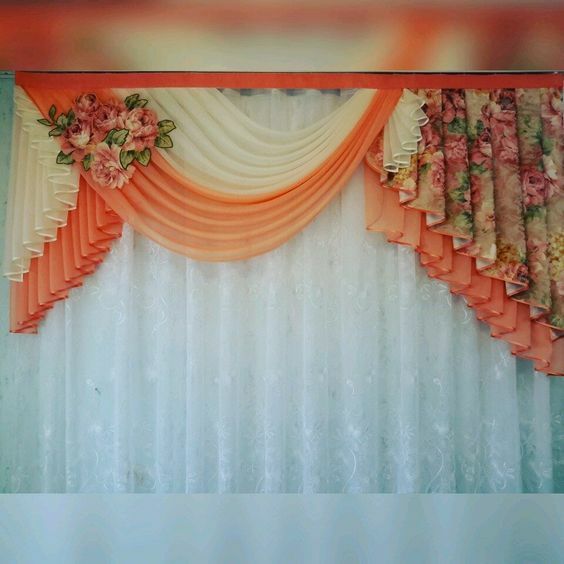 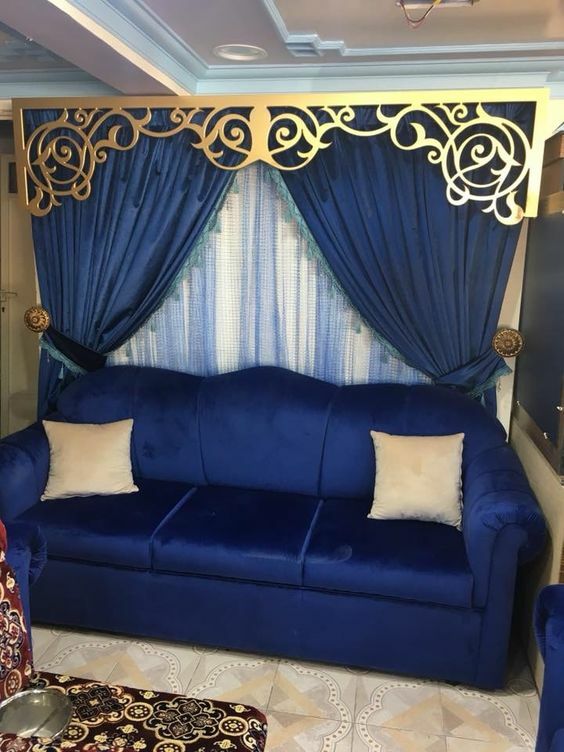 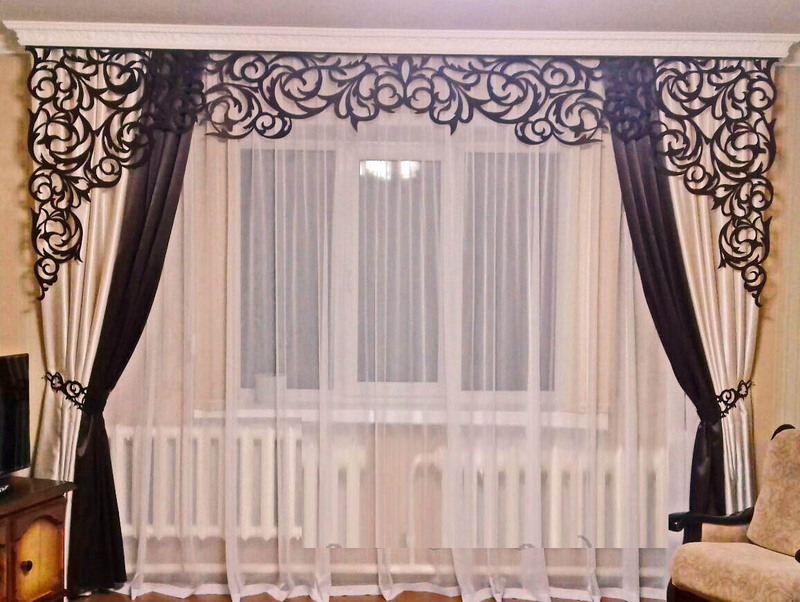 No living room can be decorated without curtain design for the living room; it is a cozy room where it's customary to meet friends and family. 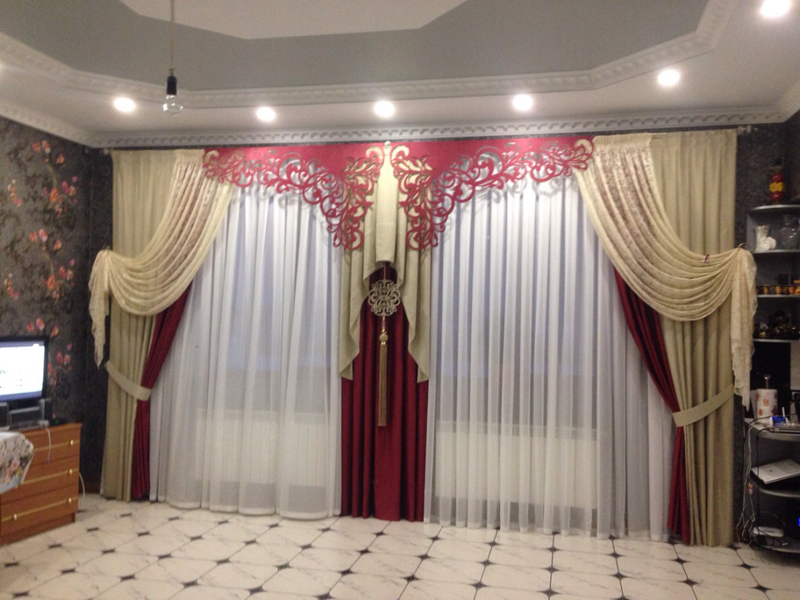 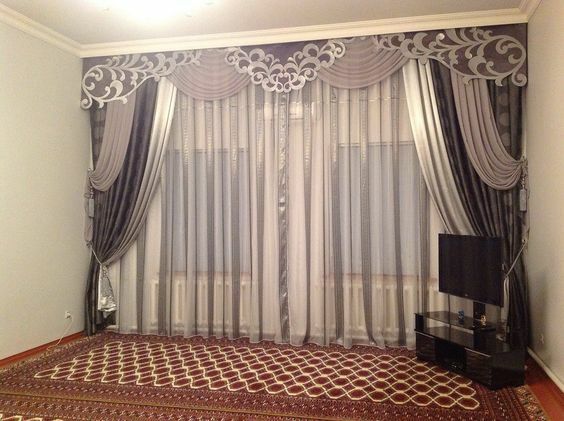 It is very important to know how to choose the right curtain design for living room. Therefore, in this article, we will tell you about the living room curtain colors, living room curtain fabrics, and modern curtain ideas. Living room curtains designs - are an integral part of any living room interior design, because when a guest enters the room, he involuntarily glances toward the window. The landscape ensemble behind the window and the window decoration looks just magical; this decoration can make the interior of the room more stylish complete it. 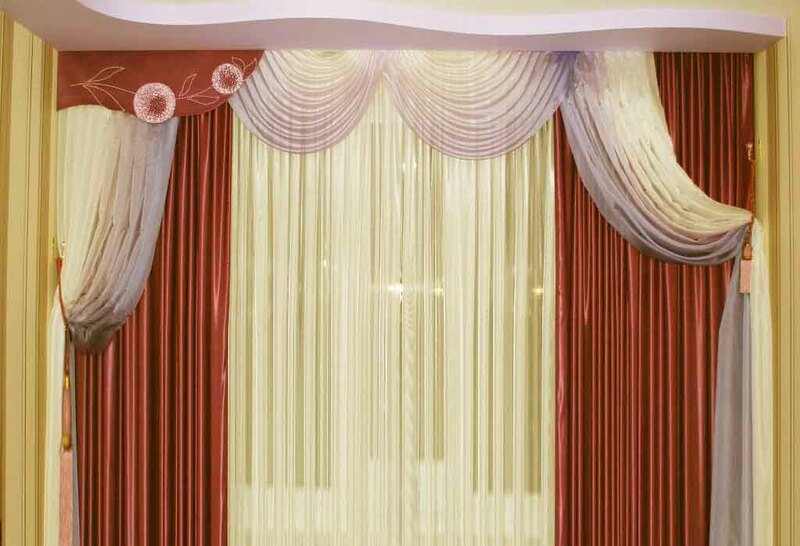 In addition, the curtains are not only able to place the finishing touches, but also play the role of a very important functional element of any room. 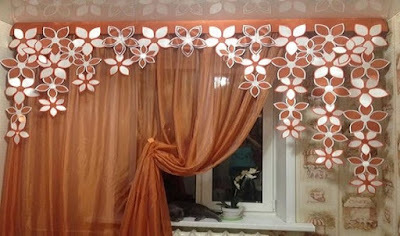 They are necessary to protect the room from direct sun rays or from light when it is undesirable, and also in order that in the evening time with the light inside the room to hide its interior and itself from the eyes of others. 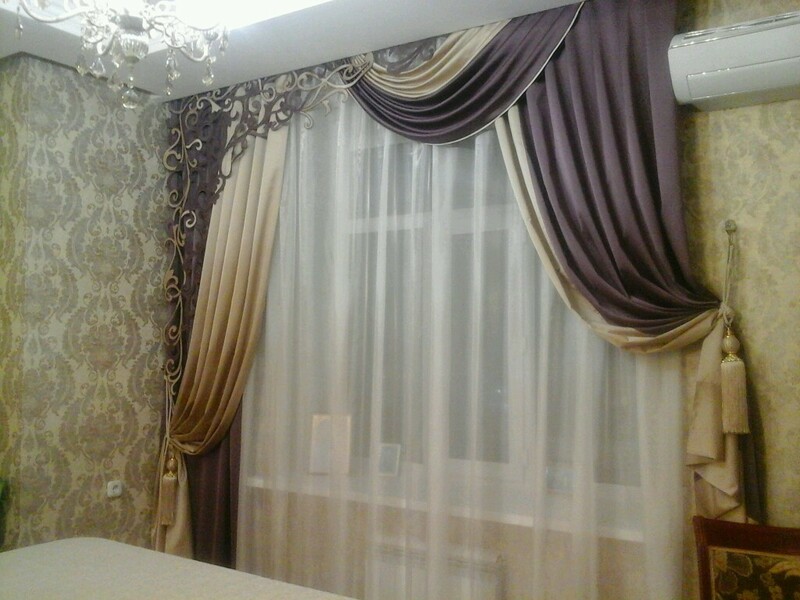 It is very important to choose the right curtain design for living room, as they can change the appearance of the room for the better. 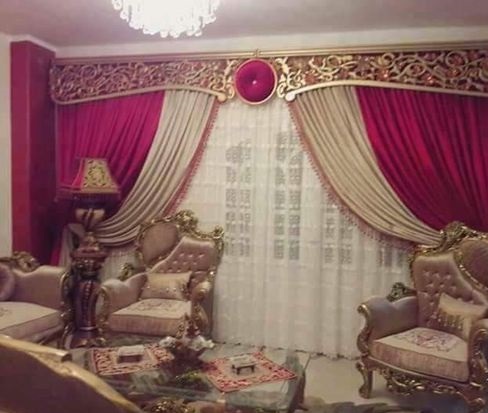 In combination with other interior items, such as upholstery, floor or wall coverings, they are able to create an ideal ensemble that will attract the attention of any person. 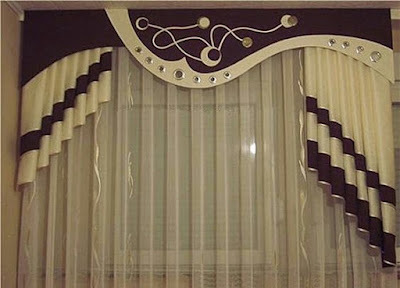 Curtain design for living room can become the highlight of the room, they are able to interestingly diversify its design. 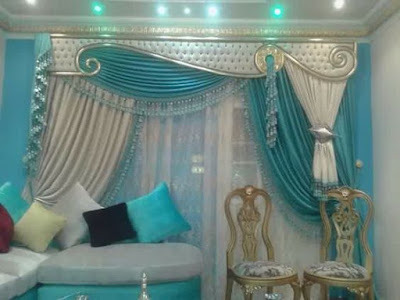 In addition, they are able to emphasize the high social status of their owners, as well as adjust the shape of the window and even change the size of the room. It is believed that long curtains can make the ceiling visually higher. 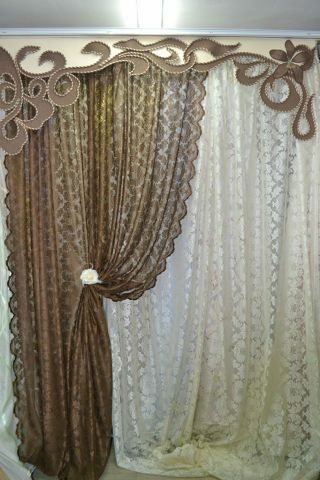 They can be changed, choosing them under the mood and changing their design. Living room curtain colors play a huge role, it is no less important than the style or length of this piece of furniture. 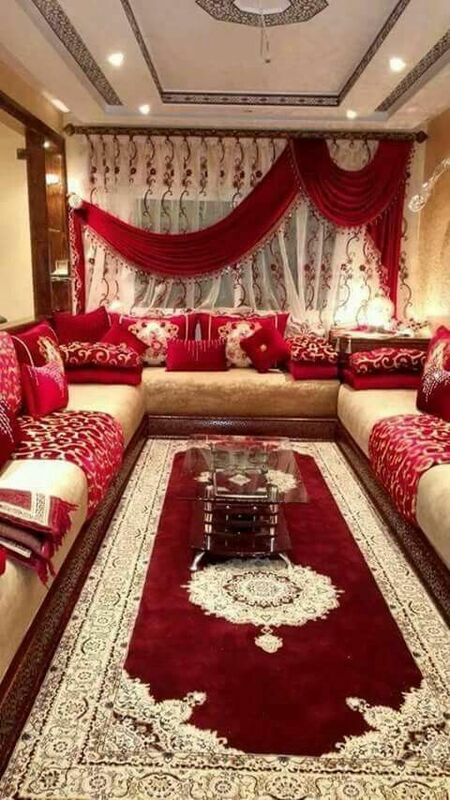 The game of color is able to visually expand or narrow the room, and also make the living room lighter or darker and darker. 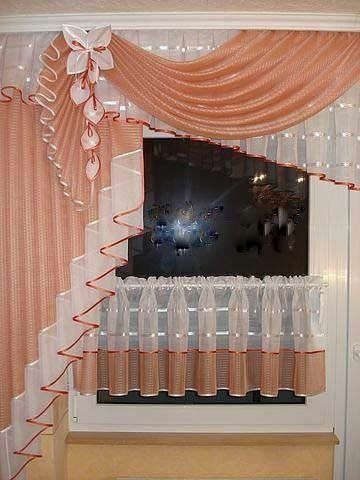 It is believed that the bright warm colors of the curtains can make the room warmer and broader, and cold, on the contrary, can narrow it. Now there are no very strict instructions on how to choose the color of curtains and what it is better to select. It is best to pay attention to the specific style of the products, their texture, and design. You can buy multi-colored curtains, which will consist of several components and will have a very interesting and unusual design; they will please the eye at any time. 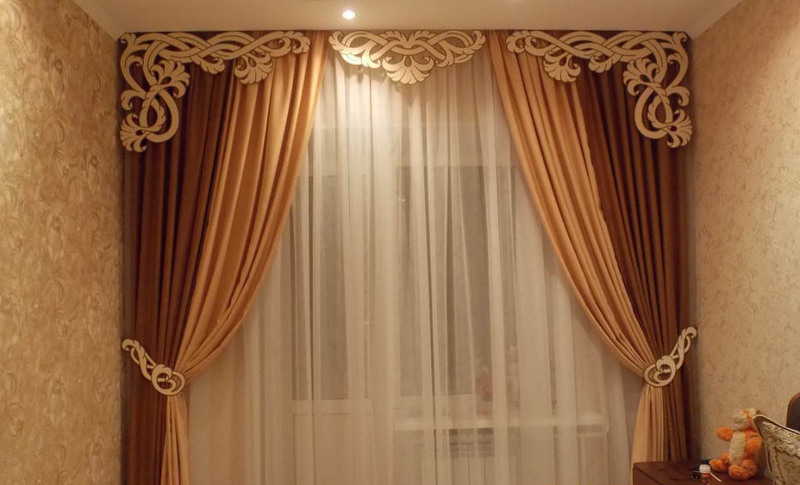 In the white living room, you can choose beautiful light curtains that have pearlescent reflection and are made of thin materials. 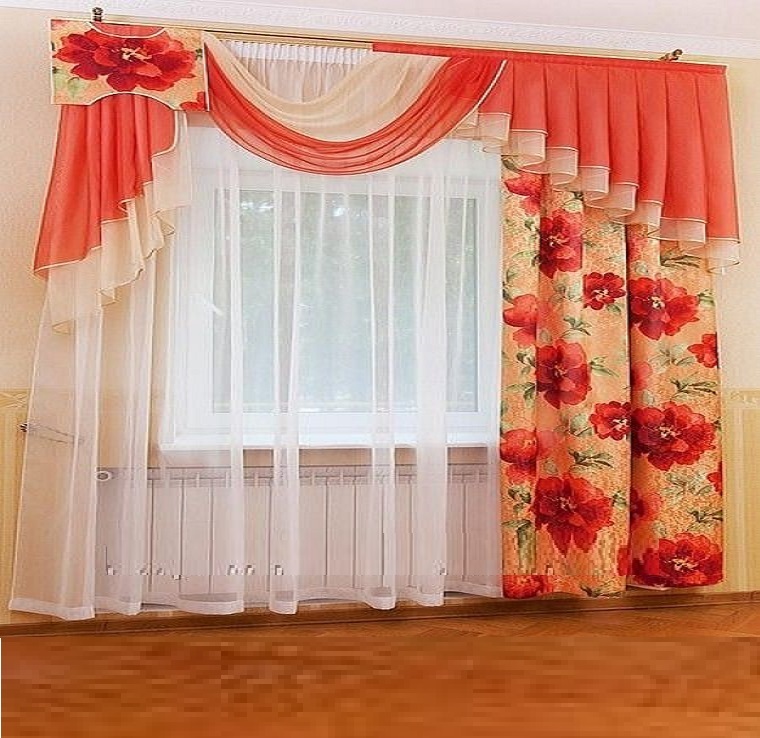 They perfectly complement the bright design of the room and make the room more spacious. 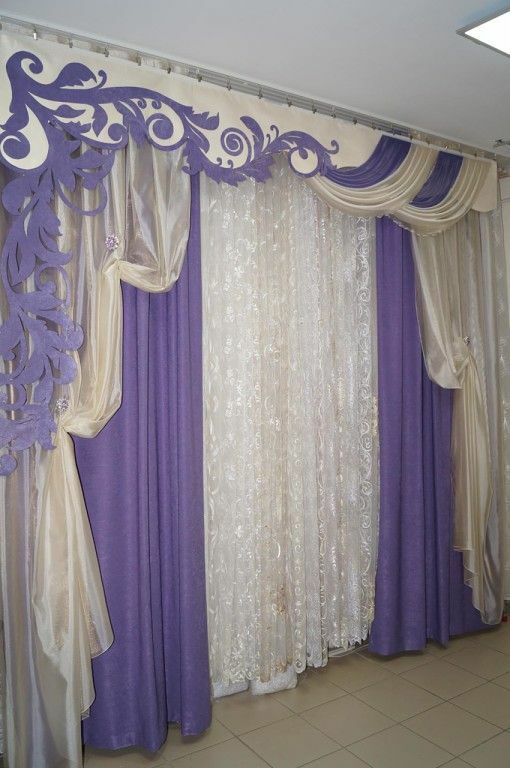 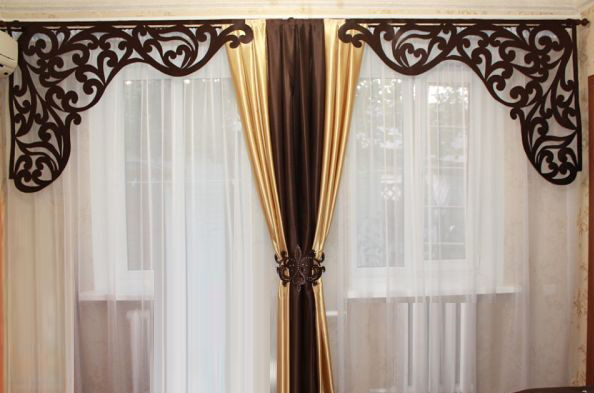 You can also choose curtains, which have a beautiful, barely perceptible silver or gold ornament. 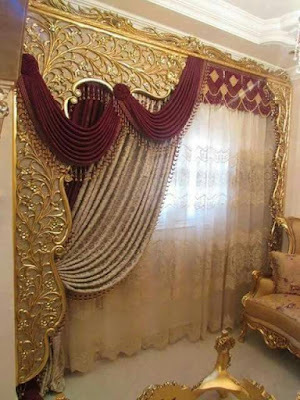 In the olive room, the more saturated green curtains of emerald color or curtains of mustard or golden shade are perfect; this ensemble will look very exquisite. 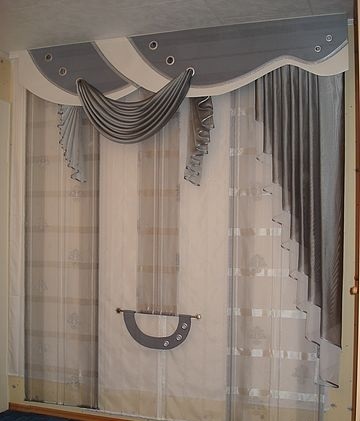 These interior items can be decorated with brushes or fringe. This combination of color and design is very luxurious. 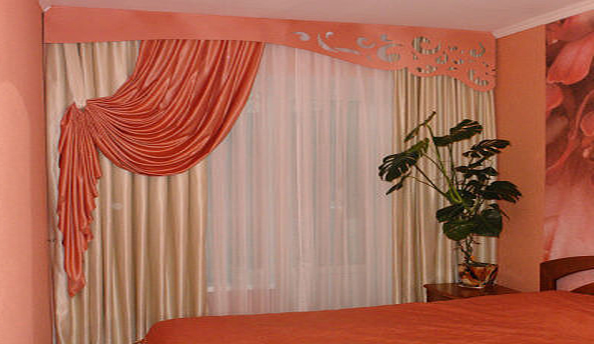 In the green room, you can also hang orange curtains. 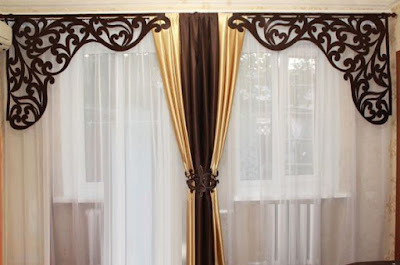 This contrast will look very juicy and interesting and perfectly suited for a room decorated in a modern style. 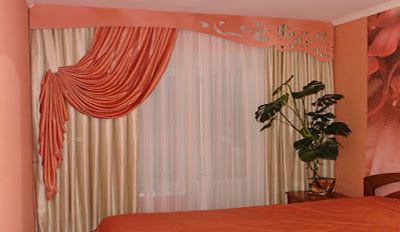 Orange curtains also perfectly fit into the hall, decorated for a tree, as all the warm colors will perfectly harmonize and create a single ensemble. 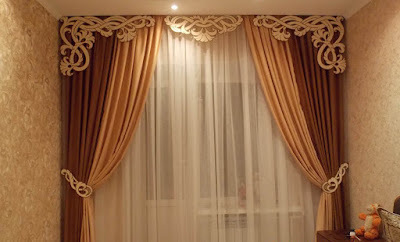 If your room is decorated in beige, light yellow or golden tones, the perfect solution will be peach curtains. They will perfectly fit into this interior design and will become its gentle completion. Therefore, the living room will look very cozy and interesting; it will be a pleasure to spend time. Fabrics in the interior of any room also play a big role. 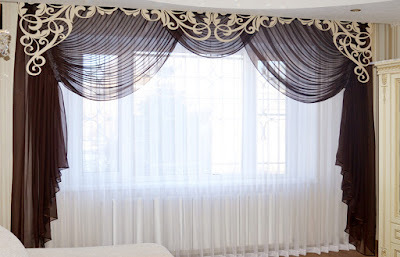 Before buying your living room curtains, you can take a small sample from the catalog and bring it home, attach to the window and imagine how the curtains will look in full size. Also carefully choosing the living room curtain fabrics, do not forget that for light styles with soft folds and assemblies, thin plastic fabrics are more suitable, and if you want hard curtains and lambrequins, they must be made only of dense quality fabrics. 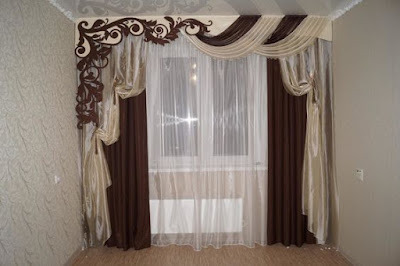 Also, if one particular model of curtains includes several tissues at once, think about how you will care for them together. 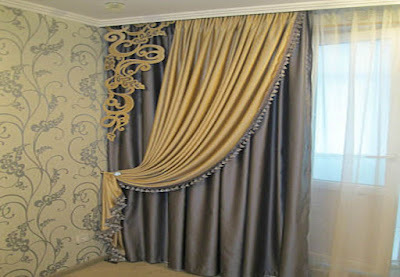 It is very moody in color is silk, it is able to vary under different angles of light and under different lighting, in addition, this fabric is able to look completely different in different in design rooms. 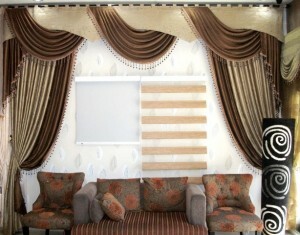 The modern trend in style is something middle between Minimalism and Hi-tech style. 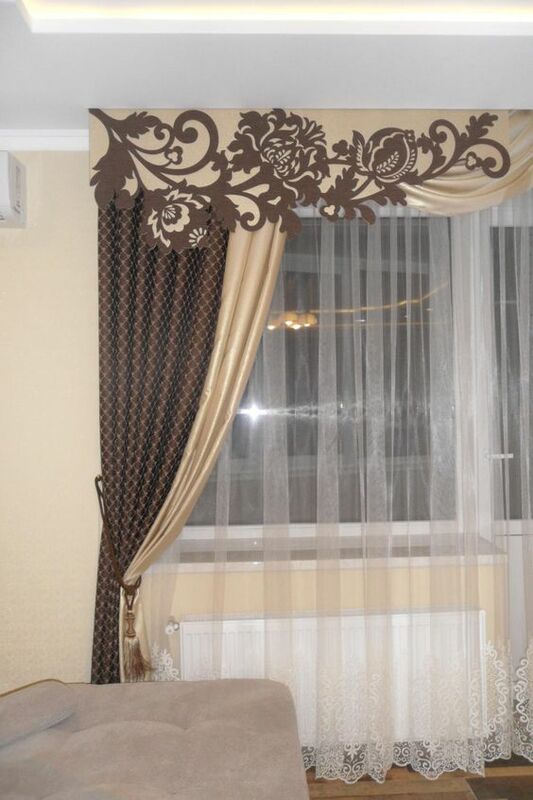 It is able to create coziness in the room and express their own opinion of each owner regarding the interior. 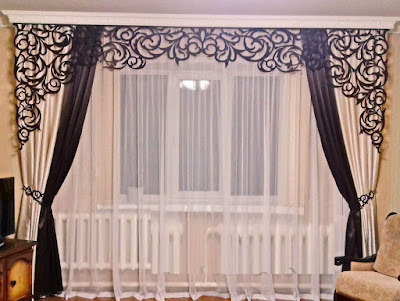 For modern living rooms, only straight curtains are purchased, most often without lambrequins, since this element is more classical, but since there is a multi-layered fashion now, some let light cloth over such curtains. As a rule, curtains in a modern style are hung on hinges or eyelets. 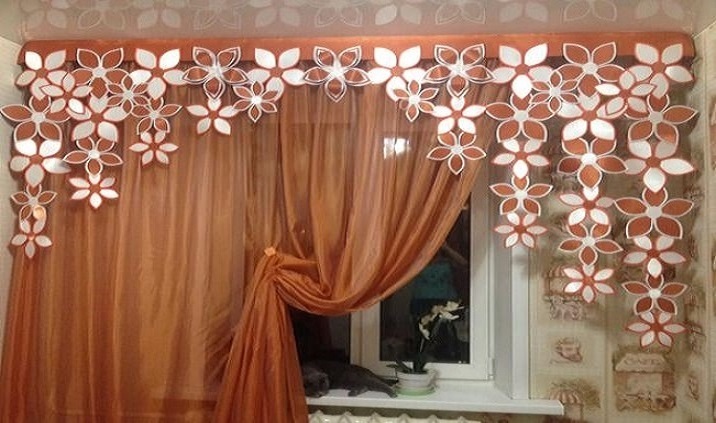 Also in the living room, decorated in a modern style, very often buy curtains in accent colors that will stand out from the background of others. 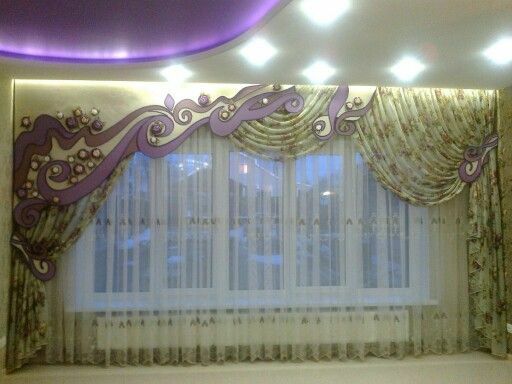 For such a hall, any fresh tones are also perfect. 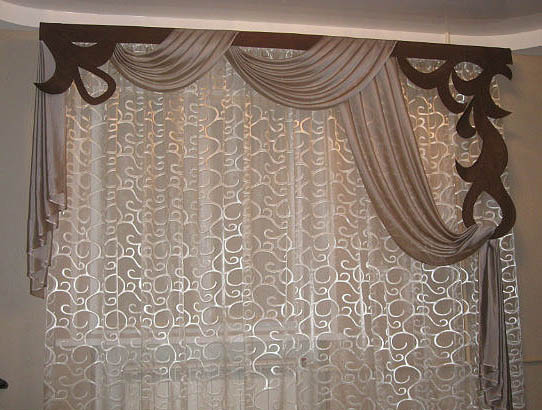 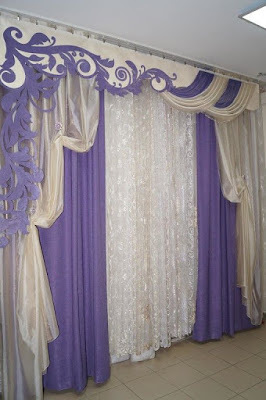 It is best to purchase single-color curtains or models with a geometric or abstract print. 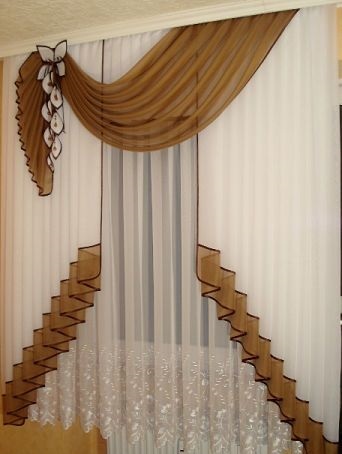 In this section, we offer you a collection of window curtain ideas, modern curtain ideas, and living room curtain colors, So keep looking.